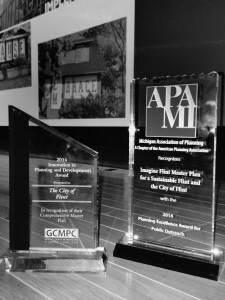 The Imagine Flint Master Planning Process was awarded the 2014 Planning Excellence Award for Public Outreach by the Michigan Association of Planning! You can view a map which details the outreach meetings completed during the planning process in the project website Map Gallery. 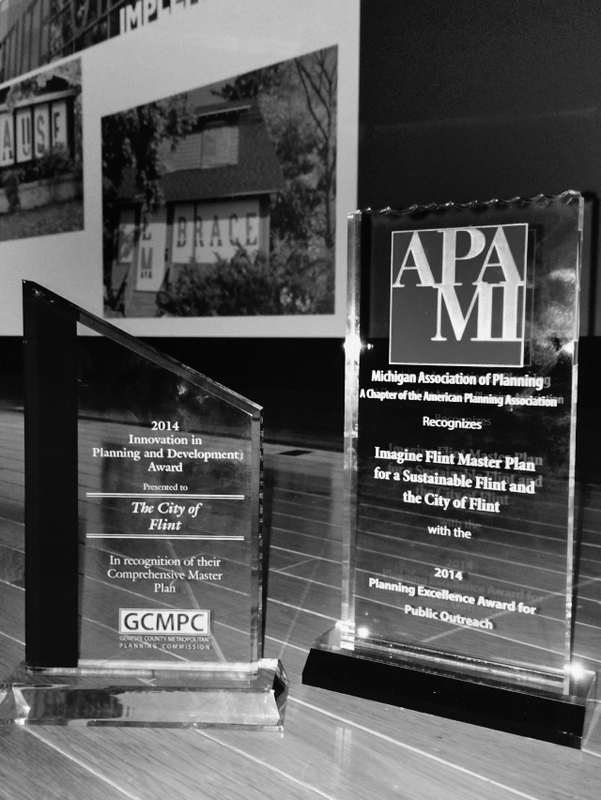 In addition to the award, the Imagine Flint planning process was added to The Michigan Municipal League’s Civic Engagement Best Practices guidebook! Using the success of our project, the booklet advises readers to learn from Imagine Flint by building “a diverse team of residents and community stakeholders to guide engagement.” See the guidebook here. Thank you to everyone who stopped by our booth and attended our Firm’s sessions at the Illinois APA 2014 Conference in Evanston, October 1-3. We are always happy to have the opportunity to chat with our colleagues about the exciting and important planning that is taking place throughout the state. We appreciate the opportunity to share what the HLA Team has been up to and highlight the important work our client communities have undertaken.